Bring the serenity of nature into your bedroom with this beautiful, powerful image of a deer standing over a waterfall. 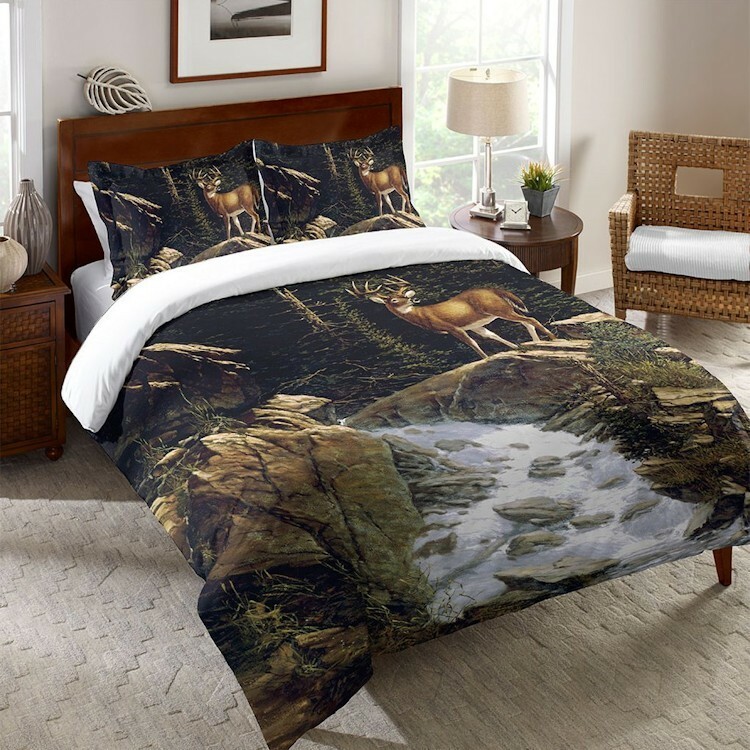 The Cabin Shopâ€™s photorealistic Above the Falls Deer Duvet Covers are the perfect addition to any rustic decor. The digitally printed design has crisp, vibrant colors and images that reverses to a solid cream back.